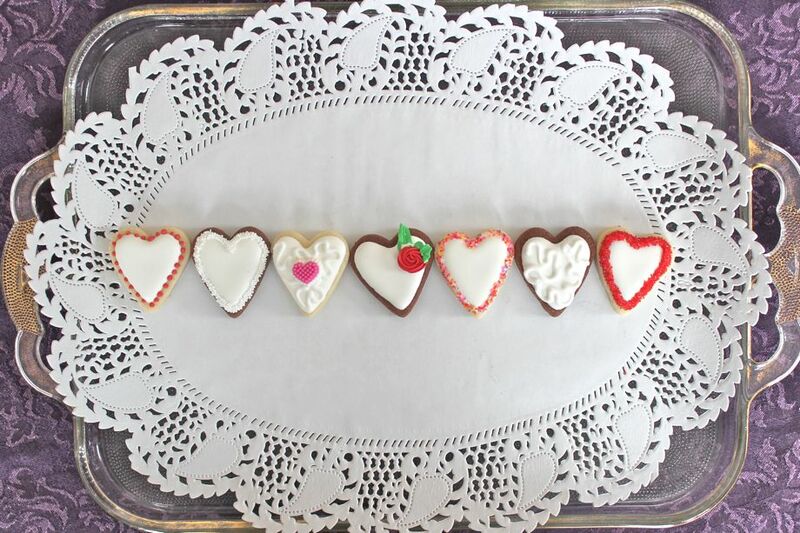 Thanks to one-too-many snow days, I was able to find enough time to make a batch of Valentine’s sugar cookies. I’ve been trying for a long long time to perfect the sugar cookie baking and decorating process, and I’ve spent way too much time collecting recipes, buying books and reading blog after blog for all the “secret” tips that might contribute to my ultimate success. Although I pride myself on having achieved the goal of “good enough” in my quest, there is still so much more to learn and practice. For these cookies, I tried out two new recipes which I am totally thrilled about. The vanilla cookie comes from Glorious Treats, and it is a keeper for sure. The dough is easy to work with, maintains its shape and, above all, bakes up a soft and delicious cookie. The chocolate cookie is from Lila Loa and is referred to as “The End-All for Chocolate Cookies Recipe”. For the time being (I haven’t tried other chocolate sugar cookie recipes), I have to agree. The dough comes together and rolls out easily, keeps it shape and tastes delicious. The only change I would make to the recipe is to reduce the salt from 1 teaspoon to 1/2 teaspoon. I used salted butter but I think I’d go ahead and reduce the salt even I was using unsalted butter. 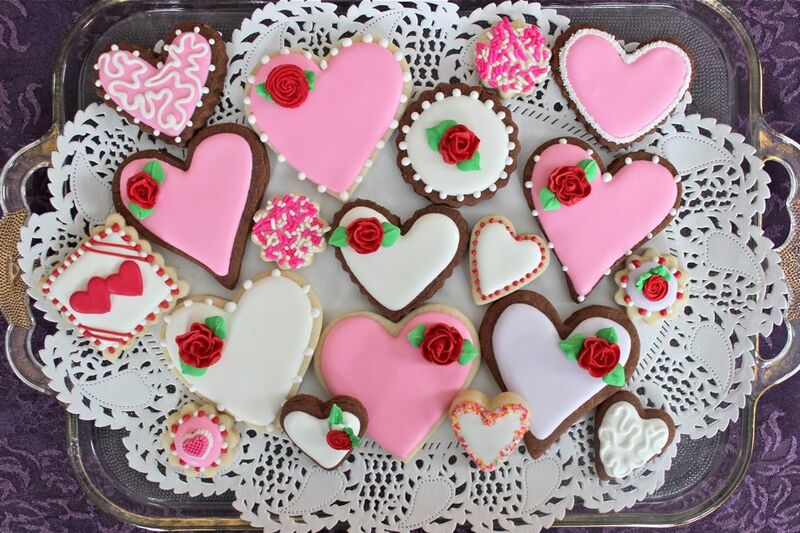 I like CK Royal Icing for the convenience of just adding 5 tablespoons of water and mixing it up. I sometimes reduce the water by 1 teaspoon and substitute 1 teaspoon of almond extract. I used the icing in a stiff consistency to pipe the roses…these took a bit of practice as I’m not a great little rose-maker. Wishing you a loving and happy February 14!